First staged in 1995 and the longest-running ballet in the West End and on Broadway, Matthew Bourne’s Swan Lake is best known for the fact of having an all-male cast. Twenty-four years after the show’s premiere, Bourne has decided to restage what is widely considered to be his most-admired work. “It’s always exciting to bring back Swan Lake,” says Matthew. “So many people love it, and you know they’re going to want to come and see it again and bring along friends and family who didn’t see it last time. That’s what accounts for the growth of the show over the years, I think - the fact that people want other people to come and see it. “There’s also a whole new generation of young people who won’t have seen it. We know, even from discussions with the cast we have at the moment, how it can inspire young people to pursue a career in theatre and, particularly, dance. Many of the men in the show, and in fact the women too, first came to the artform of dance through this piece, and now they’re in it themselves. So will the changes to this much-loved work be obvious ones? “I wouldn’t say we’re changing it enormously but refreshing it for this next period of time. It may change again in the future, who knows, but I think whilst we’re still excited about the piece and we feel we’ve got this opportunity, it seems a great chance to do it. Everything we’ve done to the piece has been mindful of the fact that people already love it. “Many people seeing the new version of Swan Lake probably won’t recognise a lot of the changes we’ve made, and I think they will feel that they’re still seeing the same piece. We will know, however, that we’ve made hundreds of little changes. The changes won’t be so big that people will think, ‘Oh, what did you do that for?’ or ‘Why did you lose that great idea?’ Maybe there will be one or two things that big fans of the show will feel the loss of, but generally speaking, I think we’re celebrating the piece that already exists. “We have a new lighting designer, Paule Constable, as one of our associates for the show. Paule has never seen our Swan Lake before - not on film or on stage - so we’ll get a completely fresh approach from her, and I don’t know what it will look like yet. It’s definitely going to look different, as Paule’s a different kind of designer, so that will be a big change. Taking the lead role in the 2019 production is Will Bozier. A graduate of Tring Park School for the Performing Arts, Will has been with Matthew’s New Adventures company since 2014, since which time he’s performed in productions of The Red Shoes, Sleeping Beauty and Edward Scissorhands. 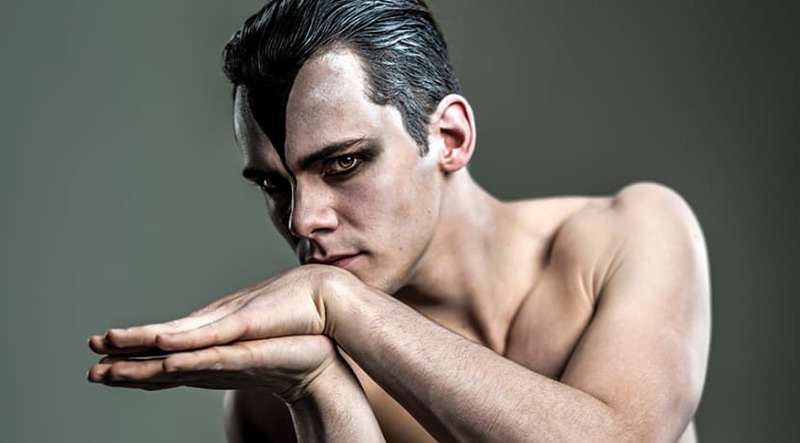 Will’s inspiration for becoming a professional dancer was Adam Cooper’s performance as the Swan/Stranger in the original production of Swan Lake. Could Bourne ever have envisaged the impact his show would have on young male dancers? “Obviously when we made Swan Lake we didn’t know that it would have the impact it’s had, but over the years I’ve come to realise that it’s been the trigger for a lot of boys and young men going into dance. I think it felt like something very cool and very masculine, yet it also required a lot of artistry and sensitivity. So it was that mixture of things, I think, that really inspired a lot of young men to want to get into dance and to be a swan - and that’s a view which is borne out by virtually every member of our cast who grew up with this piece. “A lovely aspect of the show now is how meaningful it is for the people who’re actually in it. They really want to be in it and it’s been their ambition to be in it. There aren’t many shows where you can say that you’ve got an entire cast of people whose burning ambition has been to be in the piece, so you get a wonderful connection with the dancers and a wonderful sense of community." Variously described as thrilling, audacious, witty and emotional, Bourne’s Swan Lake is like no other production of the show. So what made him take a different approach to an all-time classic? “We’re a contemporary dance theatre company, so we had to tell a story through movement in a different way, and it needed a big idea to make people see it in a different way as well. So the male swans were the big idea, and a secondary big idea was modern royal scandal. This was in the news all the time while we were making the piece, with Diana & Charles, and Sarah Ferguson, and Camilla Parker-Bowles, and Princess Margaret. All of these stories were daily news during the making of the show. And so it was a very topical thing to have a prince who couldn’t be the person he really was, or couldn’t be with the person he wanted to be with. It was all very relevant to contemporary Britain and contemporary royalty. So we’re still telling the same story - it’s still about a royal family, but a modern royal family. “I thought that would be picked up on quite a lot when the show was first seen, but actually the attention was much more on the use of the male swans. It was such an iconic image for people to have a male dancing swan. It was very unexpected, and people couldn’t imagine what it was going to look like. They all thought it was going to be a send-up, and that it was going to be a humorous piece. There’s a bit of humour in it, but the main bulk of it isn’t humorous. We needed an idea that could wipe away everyone’s existing perceptions of Swan Lake, and the male swans did that very well. “It got dubbed ‘the gay Swan Lake’, which wasn’t what the aim was, but there was certainly a story within it that was very meaningful for gay audiences, and I celebrate that. I did then, and I do now. It’s a bit more wide-ranging than that, however, and it can really be interpreted in many ways. Matthew Bourne’s Swan Lake shows at Birmingham Hippodrome from Tuesday 5 to Saturday 16 February.